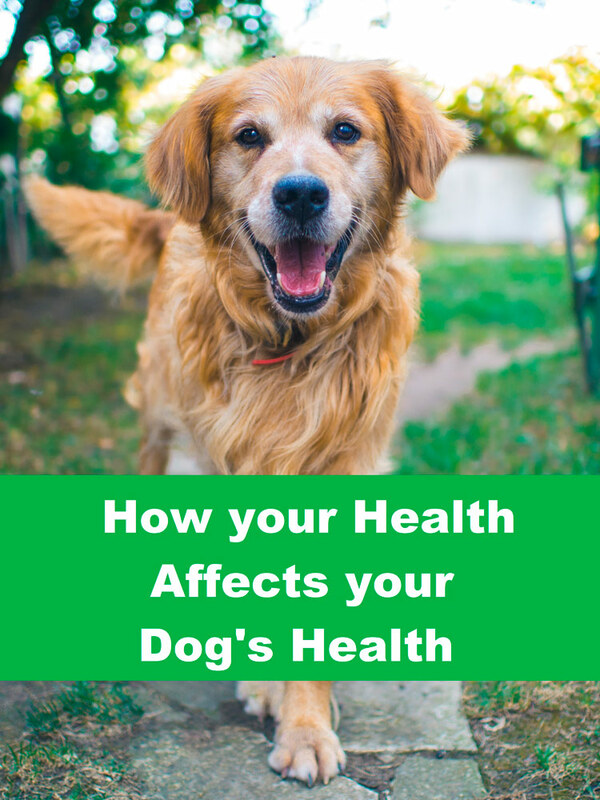 Have you ever thought about how much your health can affect the health of your dog? You may not care about being your fittest or your thinnest but we’re sure you care about your dog being and staying their healthiest. After all, a healthier life often means a longer and happier life! Who doesn’t want their dog to be healthy and live forever!? But don’t worry, don’t be ashamed if you think you may be guilty of being an “unhealthy” dog owner. There are many ways you can easily turn daily activities into positive ones for both you and your dog! 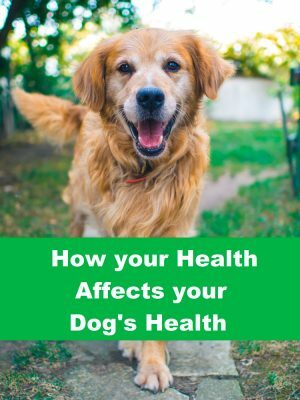 Here’s a few ways your current health status may also be impacting your dog, along with ways you can change these habits into healthy ones. Your Activity Level is Your Dog’s Activity Level. Think about it, if you are laying around all day, watching TV, browsing on your phone, eating, reading… then chances are that’s what your dog is doing too. If your dog is a self-entertainer then maybe you can throw fido a toy and he will chase it around a little bit and gnaw on it for a few minutes. While this may be good on a cognitive level, he certainly isn’t getting any major physical activity in. There’s nothing better for your dog than running around, wild and free! Get them panting for a good 5 minutes, tongue hanging out, drool dripping, the whole 9 yards, until they get their breath back. That’s when you know they are getting some good cardio in! Even just a simple, 20 minute daily walk will do the trick. We all need to move more! 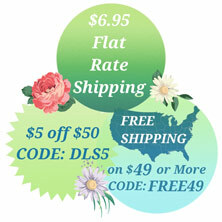 Not only does this help with your dog’s activity levels but it also helps with their behavior. Well exercised dogs are often calmer, more obedient dogs. Plus, they tend to bark less and have less anxiety issues. Who wouldn’t want that for that dog? Ever heard of the saying happy dog, happy human? Neither have we, but we are going with it! Hopefully this one is not the case for you, but it is the truth for many, unfortunately. We have written several blog posts and articles discouraging dog owners from feeding their dogs human food. You can view our newest blog post on why it’s not safe to feed your dog human food. Plus we pack in a ton of tips on changes that can be made to reduce human food consumption. Sure, some people like to snack on carrots and zucchini, which are fine to share with your dog in moderation. But we think the majority of people are snacking on “junk food” like pretzels, chips, ice cream, and pizza. Not only can this junk food pack on the pounds for the owner and the dog, it can also be very damaging to the dog’s health! If you are constantly feeding your dog from your plate or table then please take a moment to read the blog post we shared above. The changes you can make are SO easy, we promise! Do you clean your house regularly? Are you guilty of dust bunnies underneath the bed? Don’t worry, most of us are too! Unfortunately we get so busy that sometimes it’s hard to clean all the little nooks and crannies of our homes. But remember, just as you would like to live in a clean home, your dog does too! Sure, they may lick their own poop or roll around outside in the dirt but it’s not necessarily the “cleanliness” that is important to your dog. What is important is the environmental factors that could silently be causing your dog to have health issues. Those dust bunnies under the bed, right where your dog sleeps at night, could be causing him to have allergies. Do you smoke inside your home? Well the air you are breathing is also the air your dog is breathing. Second hand smoke is not limited to humans. Do you use chemicals to make your grass nice and green or salt to de-ice your front steps? Think about your dog walking on these chemicals and then licking his/her paws! He/she has now consumed these hazardous products. Being more aware of what’s going on in your home environment is not only important for you, but for your dog as well. Ever hear of monkey-see, monkey-do? Or a baby picking up on the emotions and anxieties of the mother? Studies have shown that this is very likely the same situation for a dog and the owner. High strung, angry, stressed out humans will often have dogs who behave in the same manner. Dogs are very intelligent beings and they have the ability to pick up on human energies and emotions. Ever feel like your dog knows the exact time to come and comfort you? Whether you are sad or not feeling well, Fido always knows when it’s time to come snuggle up to make you feel better. So if your dog can pick up on your sadness, then he can definitely pick up on your anxiousness, anger, and depression too. We are firm believers on being accountable for the energy you bring into a room. Whether you are with your family, friends, or dog, try your best to be your best! Tuning in to your own health and well-being can also be a huge realization of the current health status of your dog. Why not get a two-for-one and make your life healthier while also making your dog’s life healthier? That’s a win-win!